A mosaic of the Queen, made up of thousands of photos of people from the South-East, is to be installed at Gatwick Airport. The artwork, the size of a double decker bus, was created by Helen Marshall to celebrate the Diamond Jubilee. More than 5,000 residents from the region sent in photographs. 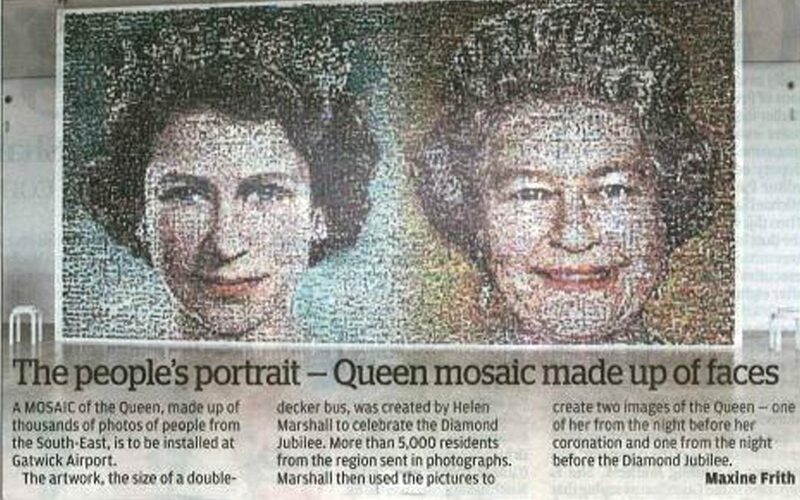 Marshall then used the pictures to create two images of the queen – one of her from the night before her coronation and one from the night before the Diamond Jubilee.